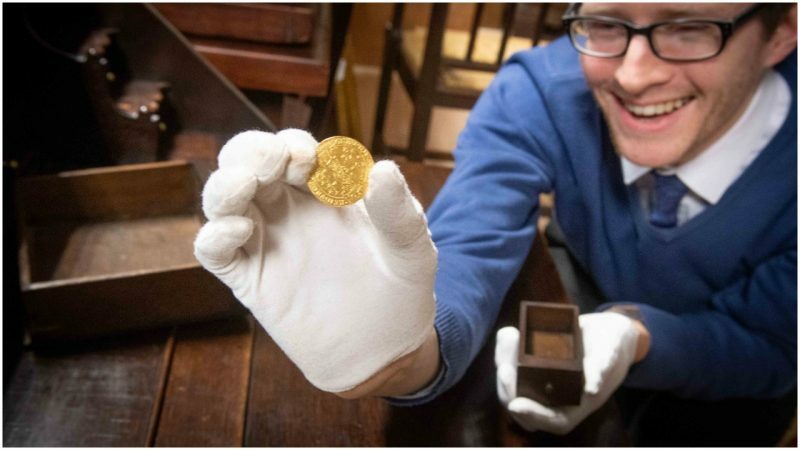 A 14th-century French gold coin was discovered inside one of three hidden drawers in a bureau inherited by a woman who lives in Derbyshire, England. 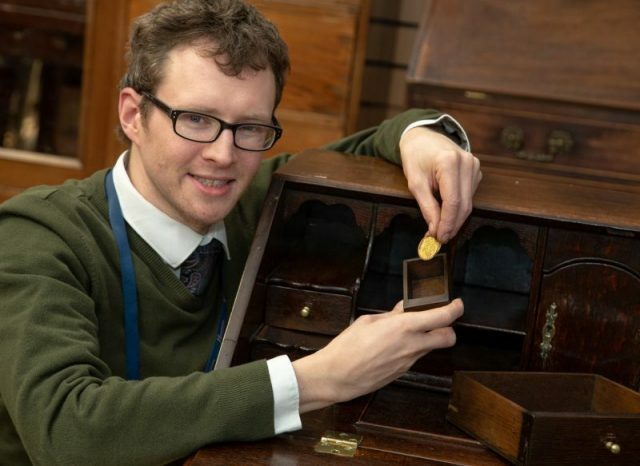 The mother of three, Amy Clapp, 37, told reporters she had no idea the 650-year-old coin — or the secret drawers — existed after being left a 20th-century bureau by her distant cousin. 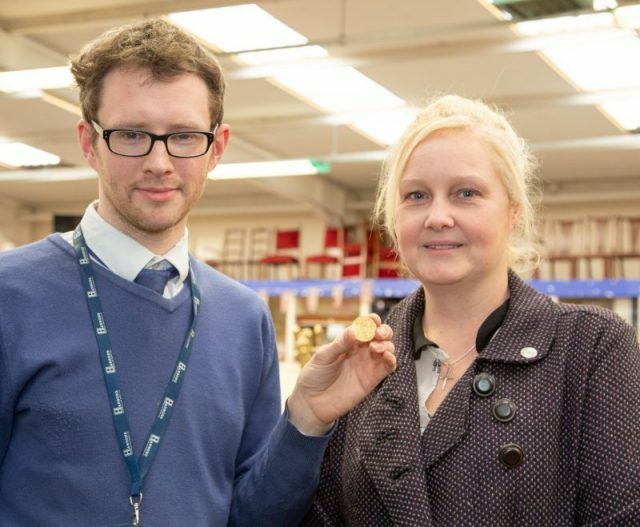 Don Collins of Hansons Auctioneers said the 22-carat coin was “very unusual” and he had “never seen one exactly like it” in more than 50 years, according to the BBC. 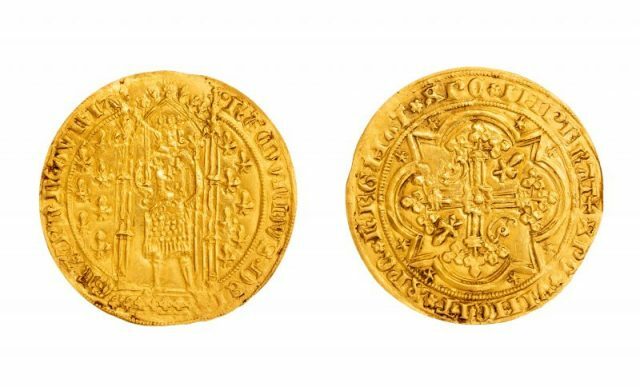 Experts believe the Raymond IV Prince of Orange Franc A Pied, dating back to 1365, could fetch double the guide price of £1,200 to £1,800 when it is auctioned this spring. The princes of Orange lived in France in the 14th century. The principality originated as a fiefdom in the Holy Roman Empire in the kingdom of Burgundy. The bureau’s owner didn’t even find the coin herself. She’d sent the bureau to Derbyshire’s Hansons Auctioneers to sell after examining it, believing that it was empty. 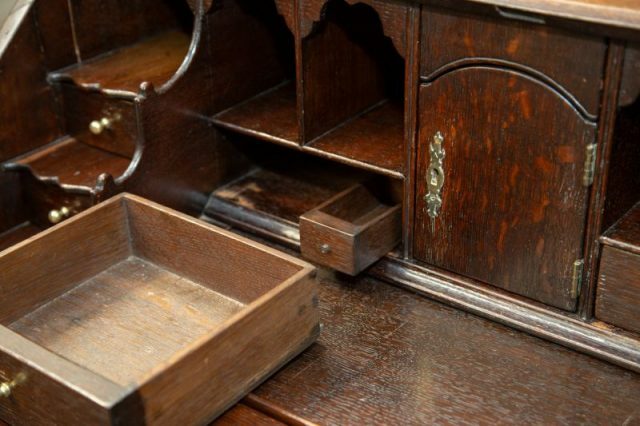 But three secret drawers existed in the bureau, and they were found by the furniture auctioneers. Clapp said she “would never have found that in a million years” and hoped to donate some of the proceeds of the coin sale to a charity. The wooden bureau itself is estimated at being worth less than $100. Nancy Bilyeau, a former staff editor at Entertainment Weekly, Rolling Stone, and InStyle, has written a trilogy of historical thrillers for Touchstone Books. Her new book, The Blue, is a spy story set in the 18th-century porcelain world. For more information, go to www.nancybilyeau.com.